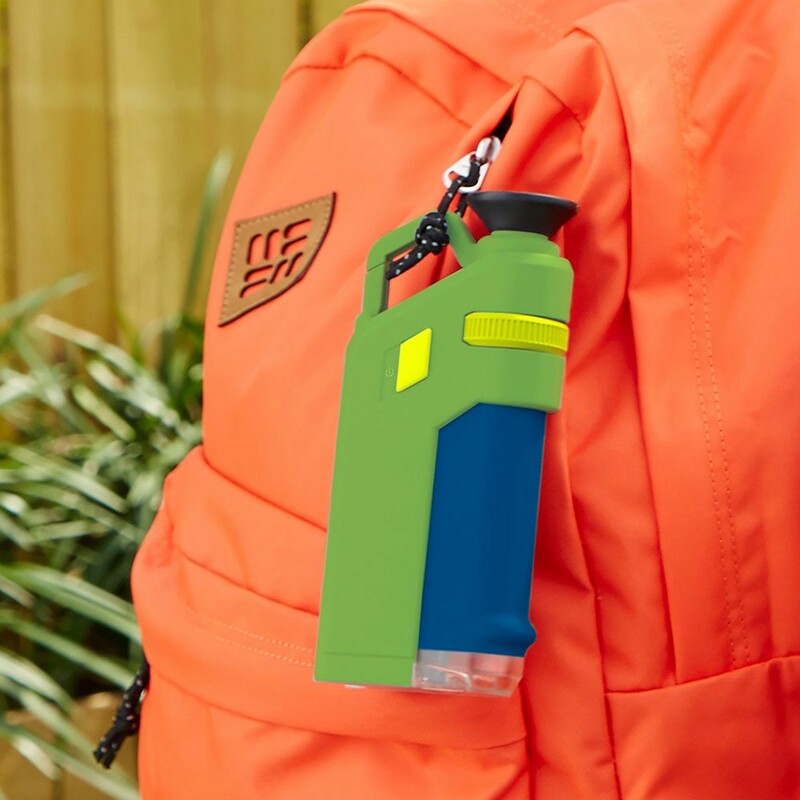 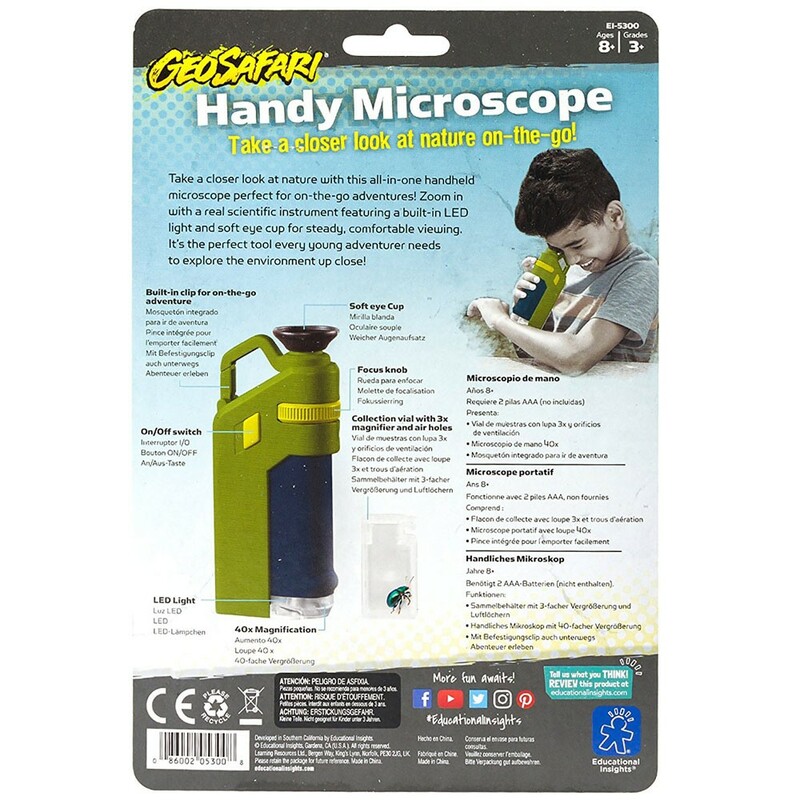 Easy-to-use, lightweight to carry, fun to explore with, this GeoSafari handheld microscope will come handy when you need to take a closer look at the natural world around you! 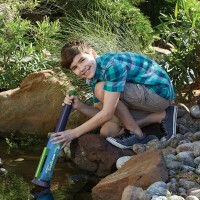 Calling all curious young scientists - it's time to get to work! 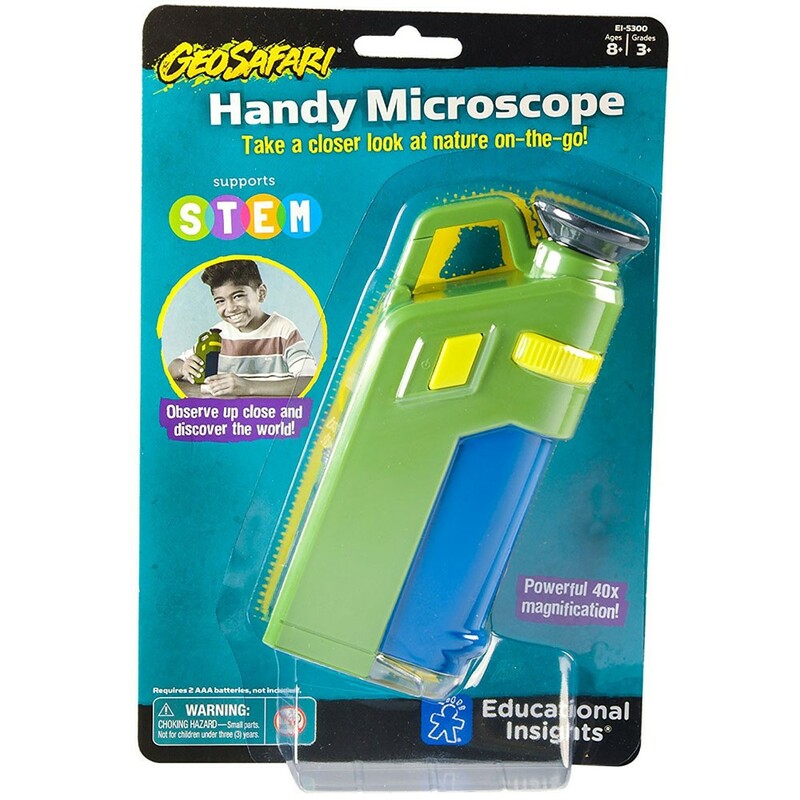 GeoSafari Handy Microscope by Educational Insights gives you the chance to set up your own bio lab anywhere you go! 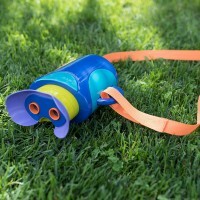 This is kids' exploration tool you need to get close and personal with the natural world of your own backyard or nearby park. 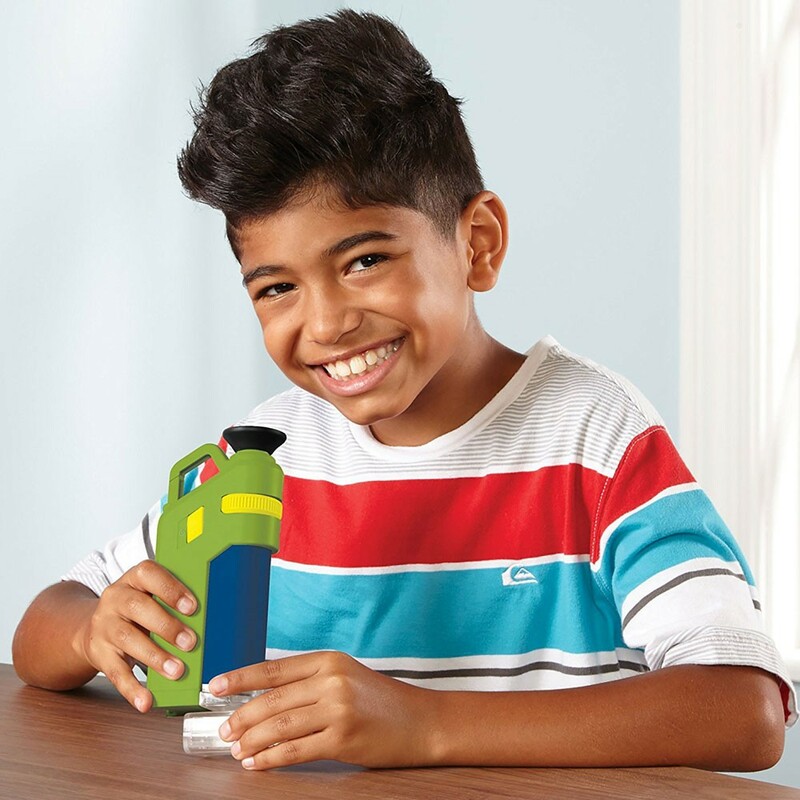 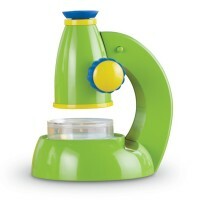 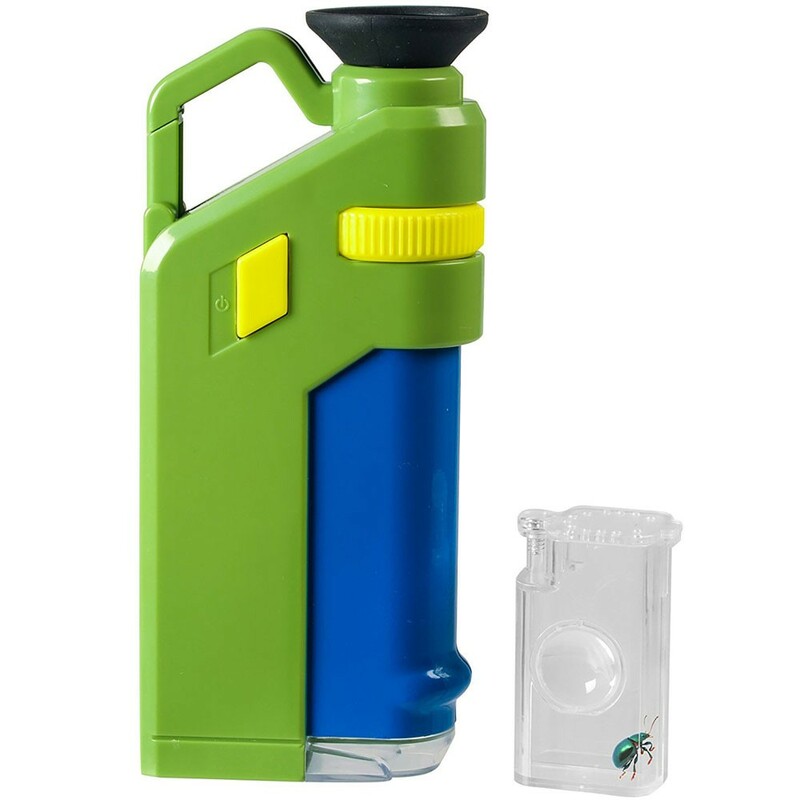 This science toy from Educational Toys Planet is a lightweight handheld microscope with collection container, and belt-clip. 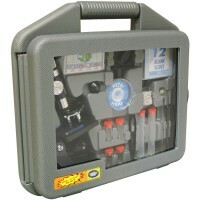 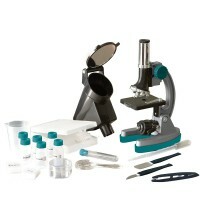 The portable microscope features 40x magnification, focus, knob, soft eye cup, built-in LED light and carabiner. 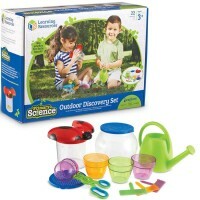 The backyard science set comes with a collection vial with air holes and 3x magnification. 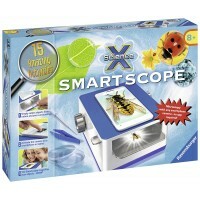 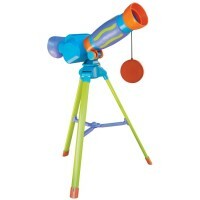 GeoSafari Handy Microscope Outdoor Exploration Set comes complete with the multi-language activity and instruction guide. 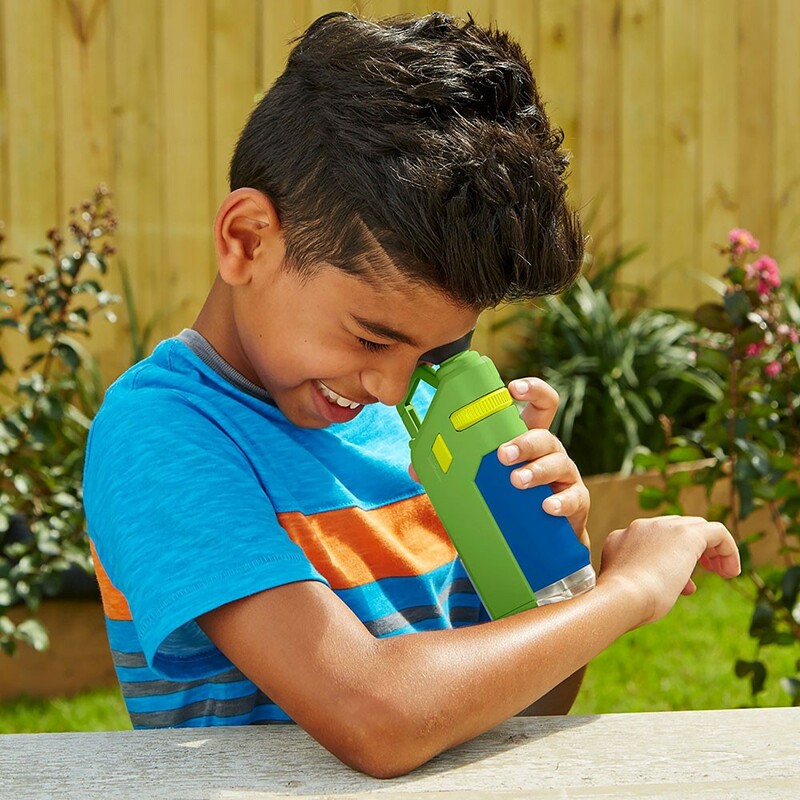 Catch some bugs, collect leaves, gather rocks, or do other nature exploration activities to observe and study them on a new level, micro level. Take the handy microscope to your next camping trip, family hike, or nature walk and examine the microscopic environment around you! 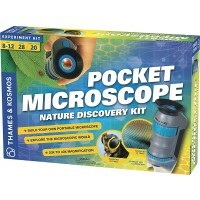 The travel microscope is 3 x 6.5 inches. 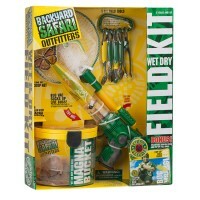 Dimensions of package 11" x 7" x 1.5"
Write your own review of GeoSafari Handy Microscope Outdoor Exploration Set.